Before reading this article, you most likely knew Falun Gong as a group of meditators that are being imprisoned and tortured in China. That’s true, of course. But without understanding four critical points, it’s difficult to fathom the lengths of deceit, manipulation, and violence that Party officials have gone to in their efforts to crush this peaceful group. Whether you’re new to the Falun Gong story or a veteran China watcher, one aspect or another of these four developments has likely already touched your life or will at some point. We offer these details to help you navigate the complex and confusing world of Communist Party propaganda and cover-ups. Waiting for a cue: In a poorly acted scene, a policeman stands waiting beside a supposed self-immolating Falun Gong practitioner. This is just one of dozens of suspicious points in this horrific scam. On January 23, 2001, five people allegedly set themselves on fire in Beijing’s Tiananmen Square. 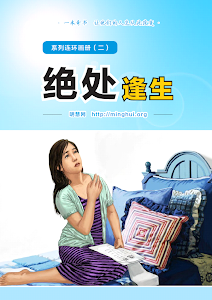 Within hours, state-run media were claiming that the self-immolators were Falun Gong practitioners. 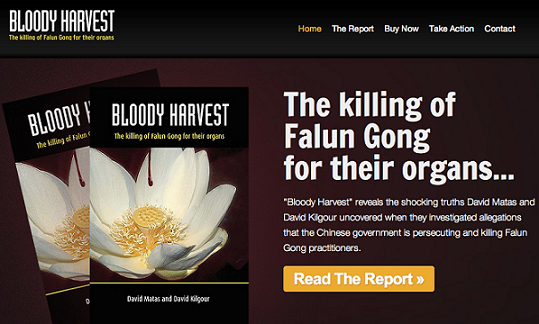 For days, media aired grisly footage of the victims and blamed Falun Gong teachings for the tragedy. The problem is that a wealth of evidence suggests that the entire incident was staged—a sophisticated propaganda stunt contrived to demonize Falun Gong. What were some of the questionable points? A Washington Post investigation found that two of the self-immolators had never practiced Falun Gong. An award-winning documentary showed, via slow-motion footage, that one of the immolators collapsed after being hit over the head, in fact, by a policeman. In the state-run media reports, a policeman stands next to an immolator, as if waiting for him to finish speaking. He then casually places a blanket over him to extinguish a non-existent flame, giving the scene an extremely staged feel. Falun Gong’s teachings explicitly prohibit killing—including suicide—making it unlikely the immolators were actual practitioners. Quotes said by the immolators in state-run TV coverage were not, in fact, attributable to Falun Gong teachings. But why would the CCP stage such an elaborate hoax? With 100 million believers, Falun Gong was by 1999 a respected household name, making many Chinese hesitant to wholeheartedly support the Party’s persecution of these people. By staging the “self-immolation” and repeatedly airing the footage on state-run television, the Party led many Chinese who had sympathized with Falun Gong to now believe practitioners were crazy or even dangerous. This in effect made it easier for the Party to abduct practitioners, take them for brainwashing, and torture them. Lining up for justice: Falun Gong practitioners stand quietly in Beijing on April 25, 1999. This historic, peaceful appeal against escalating harassment was later re-characterized by state media as a “siege” in an attempt to justify the party’s campaign of repression. It was April 25, 1999. Some 10–20,000 Chinese gathered early in the morning in Beijing, young and old. All were practitioners of Falun Gong. They had come to China’s central appeals office to ask the government to stop its escalating harassment and intimidation of practitioners—including the beating and arrest of over 40 in the nearby city of Tianjin the day before—and to allow them freedom to practice openly without threat. Those assembled stood in an orderly line. Some meditated, others chatted quietly. It was the largest and most peaceful protest in Beijing in years. The Chinese premier came out to meet with Falun Gong representatives. That evening, the group’s concerns were met and everyone went home. The problem was, then-Party head Jiang Zemin had other plans. He soon ordered the establishment of the 6-10 Office (named for its June 10th creation)—a special Party police force tasked with overseeing the effort to wipe out Falun Gong. The following month, the massive persecution campaign was launched. When the state-run media’s propaganda apparatus went into full swing, the April 25th gathering was quickly re-cast. It was not depicted as the peaceful appeal that it was, but rather as Falun Gong “laying siege” to the central government compound. This account was used to portray Falun Gong as a provocative political group, and to justify the horrific persecution just unleashed. This “blame-the-victim” framing of the persecution has spread beyond China’s borders, and informs some reporting on Falun Gong. But in truth, the behind-the-scenes repression of Falun Gong had already been underway since 1996, and the large-scale persecution campaign was soon to be launched either way. The April 25 appeal became a convenient scapegoat. It was certainly not the cause. 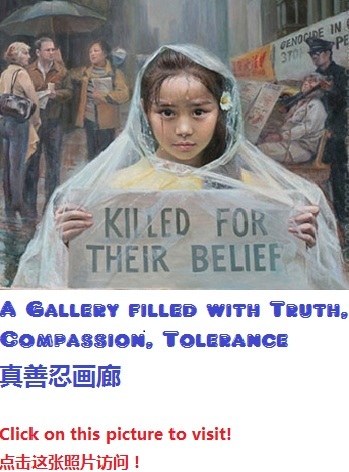 Lies on display: A man views an anti-Falun Gong exhibition hosted by the Communist Party, replete with stories of alleged harm the practice had done. The problem: investigations reveal these are all fabrications. 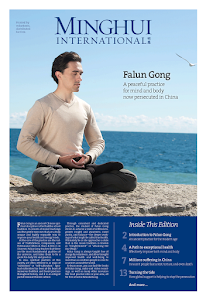 Throughout the 1990s, millions took up Falun Gong as news of its dramatic health benefits spread by word-of-mouth (see page 6, “Positively Well”). Government entities, including state media and the National Sports Commission, helped the practice’s expansion by touting Falun Gong’s positive impact on health and the ensuing savings on medical care. So, when the Party launched its campaign against Falun Gong in 1999, it had a lot of explaining to do. It was faced with justifying an effort to stop people from doing something healthy and from which so many had benefited. It also had to offset its own endorsements. To achieve this, the Party suddenly began claiming that Falun Gong had “led to more than 1,400 deaths” of followers. State-run media publicized everywhere alleged cases of such deaths, using highly graphic, emotional imagery. The main claim was that Falun Gong prohibits practitioners from taking medicine and thereby led to unnecessary deaths. Besides the suspiciously timed reversal of the government’s attitude, these claims are undermined by the fact the Party never furnished proper evidence to support them. It also blocked outside, third-party attempts to investigate. Meanwhile, no such “deaths” have ever occurred outside China in the 114-plus countries where Falun Gong is practiced freely. More importantly, those who did investigate individual cases found them to have been fabricated. One telling example was the case of Ms. Zhang Zhiwen, from Shanxi province. In November 1999, a local media outlet reported that Ms. Zhang had burned her six-month-old daughter and then committed suicide in protest of the Party’s crackdown on Falun Gong. The report was reprinted across the country. A few months later, an investigation into the case revealed that the story was a complete fabrication. In fact, Ms. Zhang had never existed. Mounting evidence tells a terrible tale of murder and mutilation in China. Reports from witnesses and Chinese physicians reveal that thousands of Falun Gong practitioners have been killed for their organs, which are sold and transplanted at enormous profit. The perpetrators are officials of the Chinese Communist Party (CCP), acting in collaboration with surgeons, prison authorities, and military officials. Victims are held in concentration camps prior to having their organs harvested, after which the bodies are immediately cremated. The story, almost too dreadful to believe, was first revealed in March 2006 when a woman claimed that Falun Gong practitioners had been killed for their organs at the hospital where she had worked. She also said that her husband, a surgeon at the same hospital outside the northeastern city of Shenyang, had disclosed to her that he had removed cornea from the living bodies of 2,000 Falun Gong practitioners. One week later, a Chinese military doctor not only corroborated the woman’s account but also claimed that such atrocities were taking place in 36 different concentration camps throughout the country. He said he had also witnessed Falun Gong practitioners being massively transported in cattle trains, at night and under the cover of tight security. Falun Gong supporters and human rights activists overseas immediately began investigating the allegations. They placed calls to Chinese hospitals pretending to be shopping for a kidney or a liver. To their horror, one doctor after another openly confirmed: We’ve got Falun Gong in stock; just come in and we can get you the organ within a week. American freelance journalist Ethan Gutmann soon followed suit with his own inquiry. Both investigations concluded that somewhere in the range of 40,000 to 65,000 Falun Gong practitioners had been killed in this way from 2000-2006. So, how does the organ harvesting work? Sometime around 2000, prison officials and medical doctors started colluding to give systematic medical testing to Falun Gong detainees—testing that suspiciously ignored injuries but checked the health of vital organs. Then, when a patient needed an organ, a suitable detainee would be matched, killed, and his or her organ taken and used for a transplant operation. Since the accusations of organ harvesting first emerged, CCP officials have attempted to destroy evidence, while denying the allegations. They have also stonewalled investigations even after the United Nations Committee against Torture asked for a thorough accounting of the source of organs. At present, it is unclear whether the practice continues. As David Matas, one of the Canadian investigators, stated, the harvesting of organs from living prisoners of conscience is a “a form of evil that we have yet to see on this planet.” It brings the atrocities committed by the regime in China to new heights. Moreover, given how much international interaction China’s transplant industry has—from doctors’ trainings to accepting foreign patients to collaborative research—the impact of these abuses is not limited to China. For this reason, various governments and international agencies have taken action upon learning of the allegations and evidence. In early 2007, Israeli health insurance carriers stopped sending patients to China for transplants. In July of 1999, China’s autocratic Communist Party launched an unlawful campaign of arrests, violence, and propaganda against Chinese citizens practicing Falun Gong (or “Falun Dafa”) with the intent of “eradicating” the apolitical practice. Former Communist Party leader Jiang Zemin launched the persecution fearing the practice’s growing popularity among the Chinese people (70 to 100 million) was overshadowing his own legacy (article). Since then, the Falun Dafa Information Center, based in New York, has reported over 3,500 deaths from abuse and over 80,000 cases of torture. The United Nations, Amnesty International, Chinese human rights lawyers, and foreign media have also documented Falun Gong torture and deaths at the hands of Chinese officials (samples). Hundreds of thousands of Chinese who practice Falun Gong remain in captivity, rendering them the single largest group of prisoners of conscience in China (article). Falun Gong is a traditional Chinese spiritual discipline that is Buddhist in nature, but not part of the religion of Buddhism. It consists of slow-moving “qigong” exercises, meditation, and teachings for daily life centered on the tenets of truthfulness, compassion, and tolerance (about Falun Gong). Why Jiang Zemin and CCP Persecute Falun Gong? [VIDEO] Why Jiang Zemin and CCP Persecute Falun Gong?